TEDOM is a founding member of the group TEDOM Group. It also includes the TEDOM a.s. property-bound companies. The members of TEDOM Group are: TEDOM a.s., Schnell Motoren GmbH (Germany), ČEZ Energo s.r.o. (CZ), TEDOM RU (Russia), TEDOM U.S.A. (USA), TEDOM Poland (Poland), TEDOM Cogeneration Equipments (China) and TEDOM s.r.o. (Slovakia). We manufacture energy-saving devices that reduce our customers energy costs while at the same time, being environmentally friendly. We are not afraid of innovations. Long years of experience with installations of CHP units in dozens of countries throughout the world allow us to respond flexibly to different customer demands. In the Czech Republic we have a vast maintenance network with nine centres, more than thirty crews and dozens of professionally trained technicians. TEDOM was founded in 1991. Over a quarter of a century, it has become an international company with more than 500 employees selling its products in dozens of countries around the world. We started with one model of 22 kW output CHP unit. Then, other types of higher outputs were added, and along with the natural gas units, we started developing units burning biogas. Today, we offer dozens of CHP units for natural gas and biogas with output ranging from 7 kW to 10 MW. Apart from stand-alone CHP units, we also supply complex turnkey projects that include project documentation, technology delivery, and construction of the entire energy source. 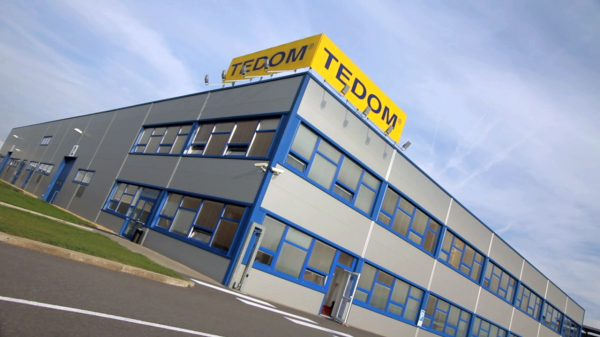 Since 2003 we have our own development and production of TEDOM engines. CHP units with these engines constitutes the basis of our product offer. Business Beginnings: The first TEDOM CHP unit with an output of 22 kW and an engine from Škoda Favorit honours its name: TEDOM (TEplo DOMova means warm home in Czech) heats a family house in Výčapy; electricity is supplied to the grid. We start cooperation with VKS s.r.o. in Hořovice, which becomes a manufacturer of the mechanical part of CHP units. We adapt a LIAZ diesel engine to a gas engine to be used in CHP units. The companies TEDOM and VKS connect their capital. The number of manufactured TEDOM CHP units reaches 100 pieces. We launch CHP units with American Caterpillar engines. We start the production of new units with 22 kW output called Premi. In Riga, Latvia we build an energy centre for use of landfill gas. We manufacture the 1000th TEDOM CHP unit. We buy LIAZ engine plant thus gaining our own engines for the Cento series CHP units. In Třebíč, we open a new assembly plant for production of TEDOM city buses with gas engines. The number of manufactured TEDOM CHP units reaches 2000.We finish the 2nd phase of the project of energy use of landfill gas in the territory of Ostrava-Karviná. Together with ČEZ a.s. we found a subsidiary ČEZ Energo to run cogeneration energy sources. We start building the energy centre at the airport of Sydney, Australia. We terminate the production of buses and we move the production of Micro and Cento units from Hořovice to the Třebíč plant. We expand the Cento series with CHP units with Swiss Liebherr engines. At the end of the year, we introduce a new prototype of TEDOM Polo 100 gas heat pump. In the annual competition of companies Czech Top 100 we are ranked 55. In October 2016, we buy SCHNELL Motoren, the important German producer of biogas CHP units thus gaining another production and development facilities and along with a vast maintenance network in Germany.